Mystery Godoku. Puzzle and Clue for 06/15/2009. 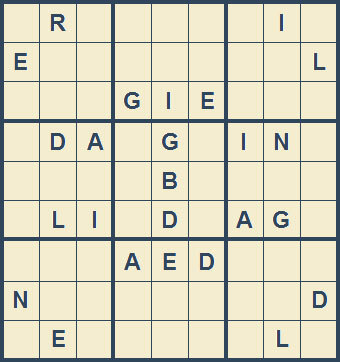 Welcome to Mystery Godoku for 06/15/2009. This is the title of the 2nd mystery by Terri Persons featuring psychic FBI agent Bernadette St. Clare (9 letters).